Bekir Halil – a warm welcome back to the Aspray Arena. 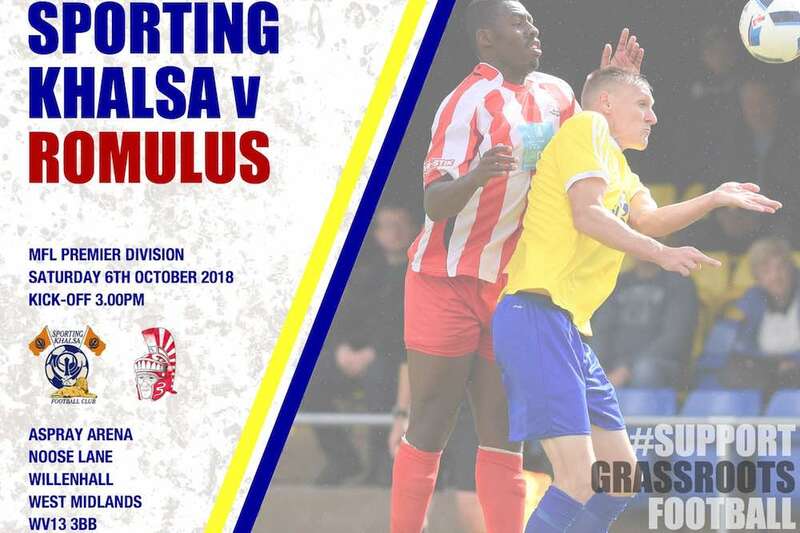 Khalsa’s tough run of fixtures continues on Saturday with the visit of Romulus to the Aspray Arena in the Midland Football League. Although Khalsa are seven points and six places ahead of Roms in the league table, the Castle Vale-based side will be a challenging proposition. Last season they finished bottom of the Northern Premier League Division One South, meaning they were relegated into the Midland Football League. They have had an up and down start to their first season back in the MFL. While they have enjoyed wins over Worcester City and Lye Town, they have also suffered defeats to Coventry United, Highgate and Walsall Wood. Perhaps the best indication of the challenge of getting consistency is reflected in a 6-1 win against Westfields at home in the Extra Preliminary Round of the FA Cup followed less than a month later by a 4-1 reverse to the same side at home in the league. Their most recent result was a 2-1 win against Long Eaton United thanks to a late winner by Michael Tweed. A week prior, Roms narrowly failed to secure a giant killing feat, losing 4-3 at Southern League Premier Central side St Neots having had a 3-1 lead at half time. Despite their patchy results, the Roms strikers have certainly been among the goals. Mitchell Piggon with a dozen goals to his name already is trailed closely by Luke Richards with nine. The last meeting between the two clubs was just over two years ago in August 2016 when Roms knocked Khalsa out of the FA Cup in the preliminary round at the Aspray Arena, winning 2-1. Khalsa welcome back two former players, now at Romulus. 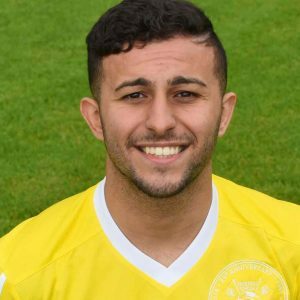 Midfielder Bekir Halil spent a spell with Khalsa at the start of the 2016-17 season including playing in the aforementioned game. One for the eagled-eyed amongst you, Isaac Cooper returns having played a single game for Khalsa in December 2015, a 2-0 JW Hunt Cup win over Walsall Wood. Khalsa, meanwhile are on a run of six consecutive league wins and have not lost a game since being knocked out of the FA Cup by Stourport Swifts at the end of August. Both Lee Chilton and Dan Westwood can boast eight goals each having grabbed one apiece in last Saturday’s 2-0 win at Boldmere St Michael’s. So, it should be a good one. Admission is £5, £3 concessions/under 16s. Food and drink will be in plentiful supply, the action will be fast and furious. If you need help finding us, help is what you will find here.